Buy Kent Wonder 7-Litre RO Water Purifier (Pearl White) @ 25% Discount. Kent Wonder can store 9 litres water, so that you can get access to clean and safe water even if there is no electricity. The water purifier uses patented double RO+UV purification process which removes dissolved impurities. The fully automatic operation ensures that the purifier begins the purification process starts whenever the purified water falls below maximum. All the fittings and components of the purifier are push fit that help in preventing leakages. The purifier is made of ABS Food Grade Plastic Construction that ensures durability and maintains the life of the purifier. The water purifier has built-in rugged Switching Mode Power Supply (SMPS) that can handle wide range of input AC voltage. The model is WQA and CE certified. This assured that the product is rigorously tested and complies of the testing standards. Kent is one of the renowned brands that provides an extensive variety of water purifiers and other healthcare products. The ISO 9001:2008 certified company is a market leader in the field of providing top quality healthcare products that enhances your quality of life and helps you stay healthy. The product range provided by Kent consists of water, air purifier, vegetable and fruits purifier and water softeners. 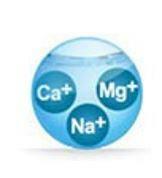 The company is pioneer in introducing the Reverse Osmosis technology in India. Over the years, Kent has evolved to become a market leader in the field of providing healthcare products. The innovative and top notch quality of products are known for their robustness in technological performance and innovative designs. With 70% of human body consisting of water, it is necessary to drink sufficient and pure water. The increasing amount of pollution has made it necessary to drink water that is safe. Kent Wonder uses the double purification process to ensure that you drink 100% safe water which is also tasty. The purifier has a TDS controller that helps in maintaining the natural minerals to provide 100% safe and tasty drinking water. The water purifier is fully automatic which makes it easy to operate the purifier. The water purifier is made of food grade ABS plastic, which makes it non-breakable and durable. 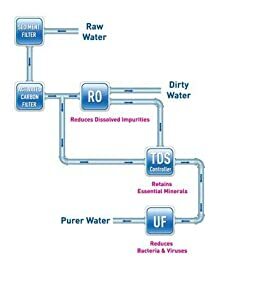 Kent Wonder uses a double purification by RO+UF process to ensure that the water you receive is 100% safe and pure. The reverse osmosis process, which is also known as hyper filtration, is one of the finest water purification processes. The process uses a semi-permeable membrane which helps in reducing salts from brackish or tap water. During the reverse osmosis process, water pressure is applied to the concentrated side that forces the process of osmosis to reverse. The impurities extracted from the water on the concentrated side are washed off in the stream of waste water and prevents accumulation. The UF process uses membranes with very small size pores. The membranes help in reducing high molecular-weight substances, organic and inorganic polymer molecules such as bacteria and viruses and colloidal materials. The low applied pressure helps in achieving high flux rates from a UF membrane. Double purification by the UF membrane provides additional protection against the harmful micro-organisms. The TDS controller present in the water purifier helps in retaining the essential minerals to take care of your health. The water that you receive is non-purified which is harmful for drinking purposes and leads to many health issues. Water contains suspended impurities such as bacteria, mud, sand, cysts and other viruses that make it unhealthy for drinking. Boiling water will not help in removing the impurities that make water unfit for drinking. The water purifiers provided by Kent uses double RO+UF purification process to ensure that the raw water you receive is free of all the harmful chemicals and salts. 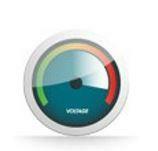 The TDS controller ensures that the essential minerals are retained by the water. The water purifiers provided by Kent ensure that there are no residue of dissolved impurities left in the water after the purification process. The water purifiers are also easy to use and have automatic operation for the convenience of the users. The water purifiers also come with a storage tank which helps you to store purified water so that you can drink clean and safe water even if there is no electricity. The various certifications received by the water purifiers highlight the fact that the purifiers have been tested keeping in mind the highest quality standards. Best Cheap Deals For Kent Water purifiers, Grab Cheap Kent Wonder 7-Litre RO Water Purifier (Pearl White) Online.